At Stadio Renato Dall’Ara on April 8th at 8.30pm, the clash between the two Serie A teams FC Bologna and AC Chievo Verona will take place. Accordingly, the bottom of the table from Verona is the third last from Bologna. The first leg ended with a 2: 2. Bologna could save themselves with a victory from the relegation position. 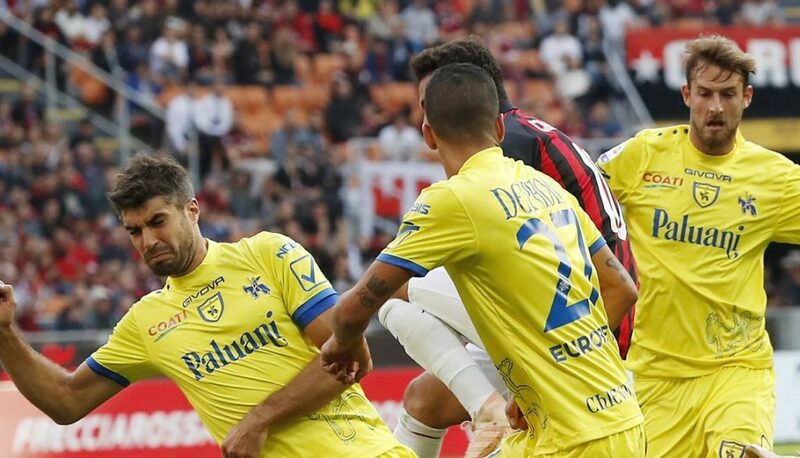 Chievo Verona are in dire need of a win if they do not want to relegate after the season, as they are now nine points clear of the penultimate table and only eight Serie A games left. Anyway, on this page you will find an analysis of both teams as well as a preview of the game. In the betting tips and forecasts we inform you about the most lucrative betting variants, for which we took a look at the odds comparison. Can FC Bologna win against AC Chievo Verona? FC Bologna has not had a strong season so far. They never got beyond 15th place. Since the 13th round of the game, they have, except for an outlier in 17th place, the 18th place in the table of the highest league in Italy. Because of the lack of success Filippo Inzaghi had to vacate his coaching post and Sinisa Mihajlovic took over this position. One can draw a parallel to AC Milan in 2015, because the same situation took place there as well. So far, she has played nine games under his leadership, four of which were won and four lost. A draw was achieved. In these games, they were good for twelve goals and allowed 13 to. Therefore, an improvement is in sight, because before his time they could win only two games, this at least at home. Consequently, they are stronger in the home stadium than away. At home, they won four games and were good for four draws. She has suffered six defeats so far. However, the goal section is not yet profitable. Because they met twelve times, but allowed 18 counter. In the recent past, they celebrated three wins in a row. By the way, that was by far the longest in this season. They beat Cagliari Calcio 2-0, 2-1 to FC Turin and 2-1 to US Sassuolo. The last time they lost to Atalanta Bergamo was 4: 1. After winning all their games against Verona in 2017, they lost 2-1 in 2018 and were good for a 2-1 in the first leg. In total, however, they could win more home games against Verona. In 13 home games they were good for six wins and four draws. They met 24 times and Chievo Verona 14 times. This statistic suggests some interesting betting tips and predictions as we find. In the upcoming game only two players, Mattia Destro and Federicio Mattiello, fall out due to injury. Thus, the most active players in the squad are all present. Can AC Chievo Verona win against Bologna? Actually it’s a wonder that AC Chievo Verona is still playing. That’s my personal opinion, because they’ve only won one game so far and that was the case at home. Since the beginning of the season they have never been able to hand in the red light. Away they were granted six draws, however, nine games were lost. In these 15 away games, they only met nine times and allowed 32 goals. The team were defeated 4-0 by coach Domenico Di Carlo, Cagliari Calcio 3-0 and US Sassuolo. Previously, they were at least a 1-1 against Atalanta Bergamo possible. To make matters worse, the very modest season results, that Andrea Sesullin, Ezequiel Schelotto and Nenad Tomovic fail. For the betting tip, it is of course interesting that since 2018 once the second half lost, once won the second and once the first half. Thus, an AC Chievo Verona bet pays off on the first or second half under certain circumstances. What are the odds for the match between Bologna FC and AC Chievo Verona? Would we rather bet on Bologna or make a bet on Chievo Verona? Because of the easy home strength we recommend a tip 1. We advise the brave to bet on tip 2 halftime 1. We also think that over 2.5 goals will fall. Incidentally, the odds are here at an average of 2.14, with the bookmaker’s highest level settling at 2.20. As of 05.04.2019. We also expect both teams to meet, after all, that was very often the case.